After I got my manuscript back from my editor, I noticed that most of his corrections were my inconsistencies of when to spell out numbers. There is no fixed rule about this, I think it is largely dependent on the standards of a publishing house. For a self-published author, it is important to establish that guideline early on and stick to it. From the corrections of my editor, he spelled out numbers twenty and below. For time of day, I have always used PM and AM, so using the number equivalent was fine like 3 PM. I’m still deciding whether I should use 9mm or nine-millimeter regarding the weapons used in the book, it looked like either form was acceptable. The impact of the former was better in my opinion. Oh, about content editing. As a new author whose desire was to write the novel that has been percolating in my head, there were some new phrases I had to learn. Content editing was one, suspension of disbelief was another. As a beginning author, I guess I had the tendency to explain every scene or the thoughts and motivations of a character that it had left nothing to a reader’s imagination. With this in mind, content editing comes into play. 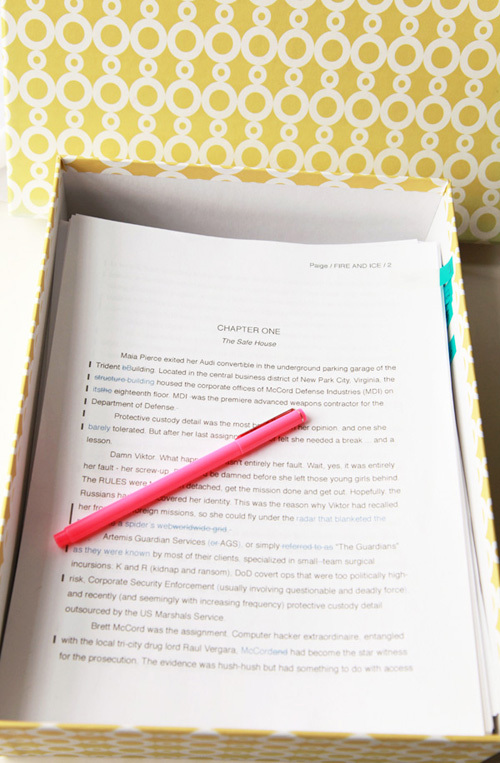 A main part of content editing is to remove repetitive information from the manuscript. I noticed in later chapters, paragraph sections were crossed out, and at first I was dismayed, but then I realized that the information had more of an impact when given in another part of the book. There were other scenes in which I did a total rewrite or had to cut them out completely. This was to remove the dreaded wash-rinse-repeat cycle which I did not know I had been doing, but I totally got the point my editor was making. I’m very happy with the end-result. The extra work had tightened the plot and moved the action smoothly forward. In terms of the engaging, gripping nature of the book, a significant factor is the fact that you get your reader to like and invest in the characters very quickly. All of the characters are very vividly drawn, and you are able to impart a distinct personality and aura to them with a few deft strokes. One thing to bear in mind in this respect would be what I mentioned in my previous letter about showing rather than telling: it seems to be the case that an important aspect of the suspension of disbelief is a lightness of touch on the writer’s part when spinning the illusion, and any hint of coercion or forcefulness (“This is what X means / This is what you are meant to think”) tends to interrupt the reader’s absorption by drawing attention to / making them aware of the presence of the writer trying to engender exactly that. To download Murder and Silk as a PDF: Murder and Silk You can also read it here. This short story contains adult content. By clicking “Continue reading ” below or reading past this line, you agree that you are 18 and older. Fire and Ice – Previe..